The World According to an Old Jarhead: It's time, sign Albert!!! The time is growing closer. 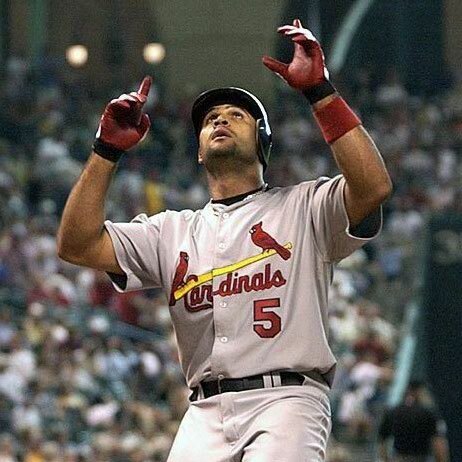 The thought no one in Cardinal Nation could ever fathom is creeping closer and closer. “It” is the single most asked and worried about question in the hearts and minds of all Cardinal fans. 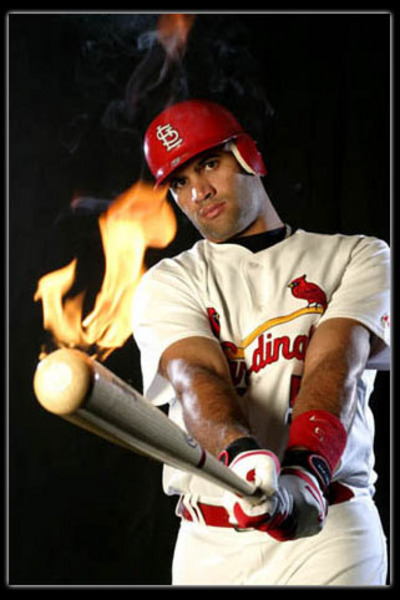 It, is the contract of Albert Pujols. Why hasn’t it been signed yet? Is it going to be signed? What are they waiting on? I guess I should start this article out by saying my family and I, are not your average Cardinal Baseball fans. I have seen my Mother tell people to either “Shut up or leave” because they were talking during the game. My Father, the Rainman of Cardinal baseball, probably has not 5 games a year on radio or TV since the early 1950’s (except for his 3 years in the Navy). During baseball season he looks like a small radio is growing from his ear. It doesn’t matter where he is at; he’s not missing a single inning. So, needless to say the Pujols contract is a huge discussion in our family. I think most Cardinal fans agree with, “here’s the check, you fill it in” mentality when it comes to negotiating with Albert. I know baseball is a business. However, I am in the same mindset. He is the best in the game, do what it takes to sign him. I am afraid this may not be the case though. The Cardinals as an organization has made some mistakes already. I think first and foremost, they waited too long. This should have been done 2 years ago. The price tag is not going down on Albert. The Birds have shown some historically “cheap” moves during their existence. You would have thought someone would have thought, “This is going to cost us more every season that goes by”. And it has. I think another mistake is why an organization would not show a player like Albert what they feel he is worth to the club and the city. I don’t mean in dollars. I think Albert is a man of conviction and pride. I think he wants to know he is truly wanted by this club. That piece of mind would go a long way. I am sure that somewhere inside of him he is thinking if I am the franchise player and I mean that much to them, then why haven’t we got this done? I continue to hear the argument of the Cardinals can’t afford him, it will break the franchise or they will lock themselves into not being able to pay for players later. I really don’t buy into these theories. The Cardinals have money. I know it is not a bottomless pit, but they have money. As far as locking themselves in, nah don’t buy that either. Let’s say in those next 10 seasons you throw in a few more post season runs and a World Series trip or two, I have a feeling they will be generating some additional income. Honestly, can they afford not to sign him? How much revenue would they lose by not signing him? Will there be Cardinal baseball after Albert? Of course there will be. However, I can assure you having the premiere player of any sport in your town generates revenue. The effort was made to sign Holliday to the biggest contract on the team. 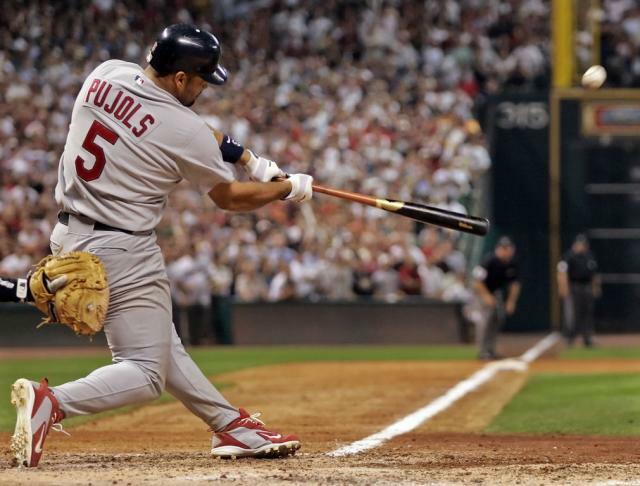 Pujols deserved the same effort made for him. There is also talk the Player’s union want to ensure he doesn’t cut a home town deal as well. Albert has 3 MVP’s, finished 2nd 4 times (would have more if not for Bonds), not too bad for 10 years in the league. The number of records he holds, the league leading stats every year, 9 times All Star, 2 Gold Gloves and 6 Silver Slugger Awards, just a few stats. The Cardinals have said they pay for future performance and not the past. Yes and no. You pay because of the stats he is likely to provide. I also hear 10 years is too long. Maybe it is. But, take care of the guy. 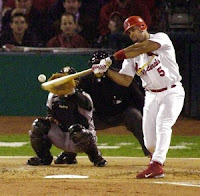 Albert will continue to make money for the Cardinals long after his playing days are done. Did we kick Musial to the curb when he got older? When Gibson’s fastball lost a few miles per hour did they cut him lose? No, in both cases. These were lifetime Cardinals and the Birds were going to make sure they stayed that way. Yes the money is bigger these days. The times are different. The circumstances are different. That is why when a once in a lifetime player like Pujols is a Cardinal, you do what it takes to keep him. PS – I hate the Cubs. Bad.